The Malad Kandivli Education Society (M.K.E.S.) has been rendering valuable services in the field of education to the residents of Malad and Kandivli for the last 60 years. It started the N.L. High School in 1942. Thousands of students have gone out of its portals over thesemany years and hundreds of them today occupy important positions in industry, commerce and government offices and render valuable service to the society.There are many others who play important roles in different walks of life andfurther the cause of social upliftment. 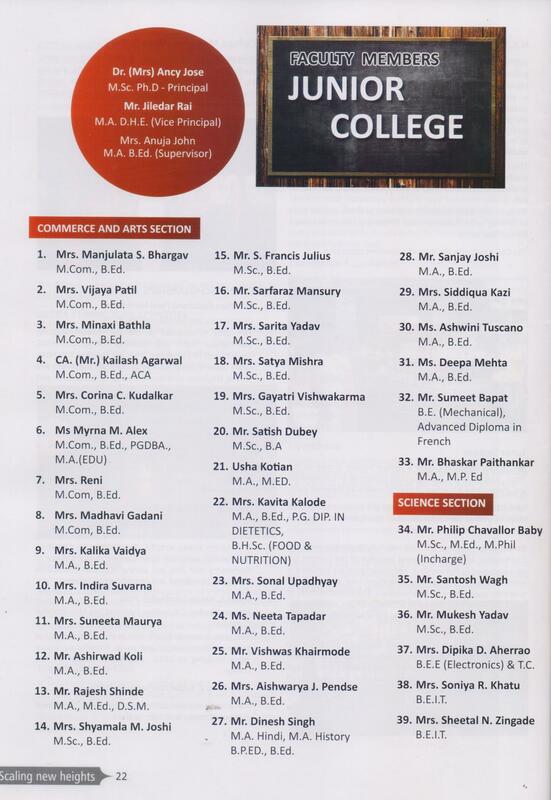 The M.K.E.S., thereafter realised the dire need for a college in the Malad-Kandivli area. It therefore sought permission from Government and the University tostart a college of Commerce and Arts. Though the Society received permission,in the last week of June - 1983; after the commencement of that Academic Year; yet it started a college with commerce stream in the same year. The collegestarted initially with enrollment of 330 students. Later the college is named as Nagindas Khandwala College of Commerce and Arts and it provides instruction tostudents for a three year integrated B.Com. and B.A. Degree Courses.